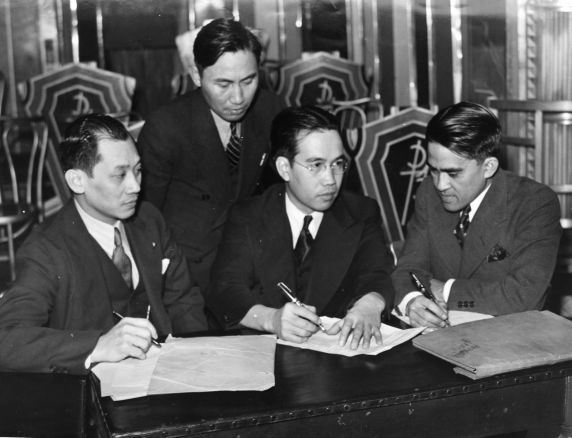 Members of the Filipino Executive Council of Michigan pose for a photo during a meeting. Left to right: Eduardo F. Lictowa, Vice Chairman; Santos J. Area, Treasurer; Fernando B. Mendoza, Chairman; Balbino S. Bibat, Secretary.